OK, it’s time. We’ve just launched some basic tools to create your own Carrotmob campaigns, and now we are finally in a good position to make the Carrotmob vision a reality. 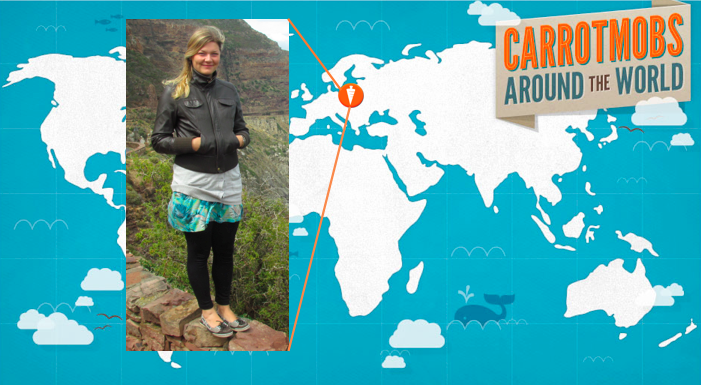 Starting now, we’re going to share everything that has happened since the origin of Carrotmob, and then everything that we’re planning for the next few years. Get ready! 1) We didn’t want to cry wolf before we were truly in a position to take this to the next level. Now we are ready. 2) You would have gone insane if we sent you every little update. You would have gotten frustrated (as we did) and confused (as we did) and it would have wasted your time and attention, because (as crazy as it sounds) there weren’t really many ways for you to help. Until now. 3) We haven’t had time to share more. We have been working constantly. You may find that hard to believe because you haven’t seen all the evidence of that work yet, but just wait until you hear the story. The funny thing about Carrotmob is how hard it is to categorize us. We are very simple, but also very complicated. I’ve had a thousand conversations with people, and everyone thinks of us in a different way. Are we a network of people? Are we a network of responsible businesses? Are we community organizers? Are we an advocacy organization? Are we a starfish or a spider? Are we a crowdsourced marketing agency? Are we a technology startup? Are we kind of like Kickstarter? Groupon? Causes? Change.org? Meetup? GetSatisfaction? Care2? Yelp? All of the above? We are something unique, and here are a few things we need to do: We need to create a system that works well for people who want to create Carrotmob campaigns. We need to build tools for the true leaders, organizers, and advocates who have gotten us to where we are today. Also, we need to work well for your typical mainstream person who may not think of themselves as an advocate, but who will participate in Carrotmob campaigns if we make it as easy as possible. Also, we need to work really well for small businesses, so that small campaigns become more frictionless. Also, we need to work really well for large businesses. Doing that means understanding how big companies make decisions. Understanding marketing executives, branding agencies, PR departments, and more. Also, we need to build something that works really well with existing advocacy groups… organizations who are already working on important issues and may want to use Carrotmob campaigns to advance their missions. You can’t just flip a switch and have Carrotmob function. You have to learn, to research, to iterate, to fail, to rebuild, to improve, to adjust… That’s what we’ve been doing. Now we’ve learned enough about all of those worlds that we believe we’re ready to make it happen. 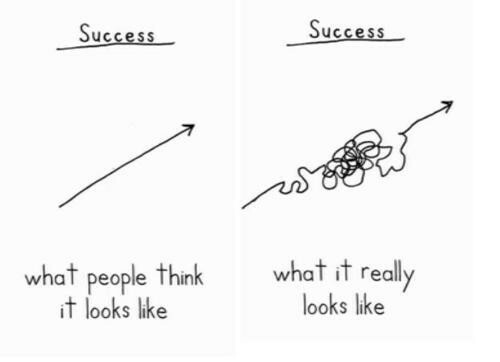 Sometimes you see a startup come up with a great idea and execute quickly, with success seeming to happen overnight. We could have done that too if we were thinking small. We could have done that if we were only trying to solve one problem. Or if we were merely a technology experiment. But the scope of our ambition has required us to build a sprawling network of people with tentacles in many different worlds. The bad news is that this has taken awhile. The good news is that the foundation of this network is now built, which puts us in a very strong position. 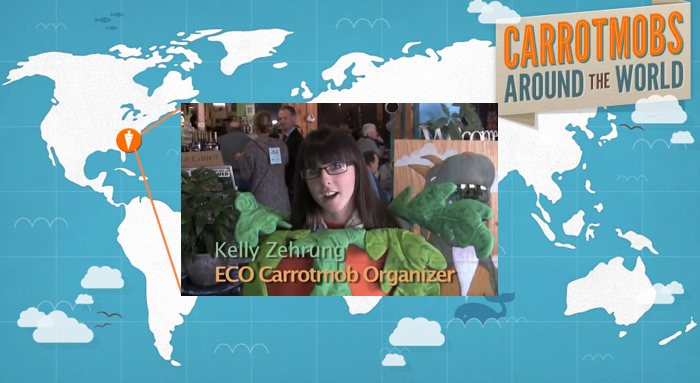 The Carrotmob idea is simple and elegant, but executing it is like setting up an elaborate Rube Goldberg machine. We’ve been architecting a system that is set up for success. We’ve been putting everything in place so that when we flip the switch, it can work. It doesn’t mean it will work…. we need your help for that. But if you are there to support us, we can accomplish something incredible. Starting tomorrow we will begin a series of blog posts which will explain in greater detail everything that has happened with Carrotmob throughout our history. It’s a long story, but I know some of you will be very interested, and it should be recorded somewhere. After we give you a tour of the squiggly part of the arrow, we’ll share our vision for where we want to go, and how we plan to help you write the future of the Carrotmob movement.